John R Bradley is the author of After the Arab Spring: How Islamists Hijacked The Middle East Revolts. Hosni Mubarak, Egypt’s deposed dictator, is reportedly still in a coma after being handed a life sentence earlier this month for complicity in the deaths of almost 1,000 protesters during last year’s mass uprising against his tyrannical rule. He is a man utterly lacking in charisma, who has only ever been interested in enriching his family and the corrupt tycoons who surrounded him. Few will shed any tears when he dies. However, while Mubarak was no better known for his political acumen than for his benevolent rule, he has been proven right about one thing at least. A few days before he was forced to step down in February last year, he warned that sudden, dramatic change in the land of the pharaohs would lead only to anarchy, followed by a takeover by the fundamentalist Muslim Brotherhood party and the imposition of strict Islamic law. Gradual political reform, in other words, was preferable to revolutionary upheaval that had no agenda other than ousting the current leader. That advice, at the time mocked as the self-serving twaddle it partly was, now seems strikingly prescient. Indeed, Mubarak could have been talking about the consequences of revolutionary chaos not just for Egypt, but the Arab region as a whole. On Monday, Jonathan Evans, the head of MI5, warned that the mayhem caused by the so-called Arab Spring has resulted in the creation of new Al Qaeda training camps throughout the Middle East, especially in Syria and Libya, where British jihadis are receiving training in terrorist tactics. They are intent, he added, on returning to Britain to launch attacks here. The terrifying reality is indeed that Islamists of various factions are taking advantage of the febrile volatility in the regime to flex their muscles. Egypt’s new president has just been announced. 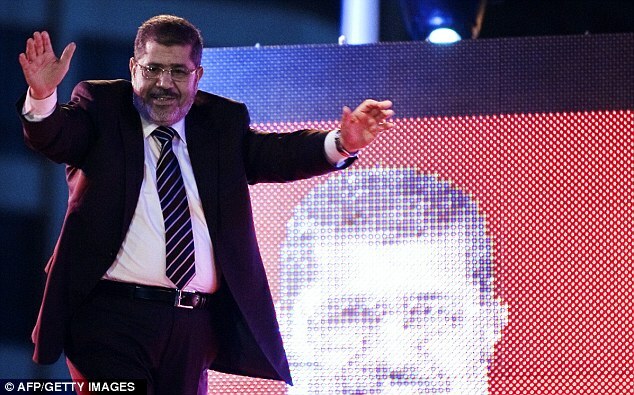 He is Mohamed Morsi of the Muslim Brotherhood. His victory ends a year of political transition in the country during which the Muslim Brotherhood have thrashed their liberal opponents in every election that’s been held. On Sunday, Morsi called for national unity. That will be a tall order. Like other so-called ‘moderate’ Islamist leaders throughout the region, he is a wolf in sheep’s clothing. The truth is that the Muslim Brotherhood will now set about implementing their real agenda: imposing Sharia law and encouraging the growth of extreme Islam. Still championed by over-excited, ill-informed pundits in the West, and kept alive on the ground by a gaggle of equally naive, out-of-touch and mostly English-speaking local activists, the bitter truth is that the so-called Arab Spring has proved a dismal failure on every level. Nothing good has come of it at all, if judged by the classic Western values of liberty, freedom of expression and democratic accountability. From Egypt to Tunisia, Yemen to Libya, shockingly high crime rates, economies in free-fall and decimated tourism industries are the terrifying new realities Arabs must now confront. And in each of those countries, radical Islamists have moved quickly to fill the social and political vacuum. They have used a simple strategy: relying on gaining a majority from the minority who vote, and blatantly disregarding rules that ban foreign campaign donations from neighbouring states, such as Saudi Arabia and Qatar, looking to extend their influence in the region. Both these countries, although Western allies, also subscribe to Wahhabism — the strictest and most austere interpretation of Islam that even bans contact between unrelated men and women. They also consider it their God-given duty to promote this ‘pure’ version of Islam whenever the opportunity arises, thus their attempts to exploit the Middle East’s disarray. In Morocco, Kuwait and Algeria — the only Arab countries that have held parliamentary elections during the past year — affiliates of the Muslim Brotherhood have swept to power. 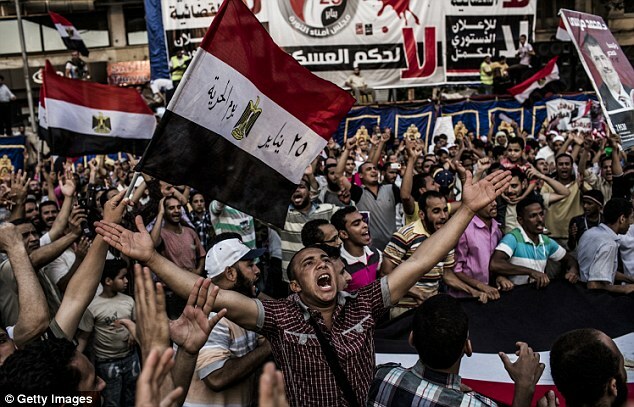 Now the Muslim Brotherhood itself has also triumphed in both Egypt’s parliamentary and presidential elections. Meanwhile, Syria’s initially popular and peaceful uprising is in the midst of being hijacked by a band of fanatical international jihadists also intent on imposing Sharia law. These more extremist Syrian insurgents, who employ classic terrorist tactics such as suicide bombings and kidnappings, are being funded by the most repressive, undemocratic Islamist theocracy in the region: Saudi Arabia. Ironically, because of the grip of its leaders, the repressive Saudi kingdom itself has witnessed no major uprising, apart from sporadic demonstrations among its repressed Shia minority. Meanwhile, in Libya — despite Britain and France’s intervention — Islamist militias now rule the streets. The country is at serious risk of being torn apart along tribal and regional lines. Just last week, more than 100 people were killed in clashes between rival tribes in Libya’s south, and a band of armed Islamists occupied the capital’s airport in protest at the arrest of one of their members. The Libyan transitional government exists only in name. In neighbouring Tunisia, the birthplace of this Arabian nightmare, thousands of zealots last week rioted throughout the country — the latest violent agitations against artworks deemed insulting to Islam. What was once the most socially liberal and progressive Arab country has, like Egypt, in a year become yet another backwater for extreme Islam. Tunisia, too, is now governed by a Muslim Brotherhood offshoot called Ennahda. Its electoral success, like that of the Muslim Brotherhood in Egypt, is widely reported to have been achieved in part by substantial funding from the states of the Persian Gulf — Saudi Arabia and Qatar. Thus we are witnessing a ruthlessly successful counter-revolution led by these two countries. For both nations, secularism and democracy are anathema, as they are using their immense wealth to successfully install their extremist Islamist proxies. The terrifying reality is that we are seeing once secular, tolerant cultures being dragged back to the Middle Ages — and with the implicit blessing of the West. Indeed, Saudi Arabia’s continued status as a vital Western ally holds up a mirror to the rank hypocrisy of the pro-democracy rhetoric we hear from the likes of Barack Obama and David Cameron. How extraordinary it was to hear last week, for example, Western leaders’ gushing praise on the occasion of the death of Saudi interior minister Prince Naif. This was a man who, for decades, was at the helm of a vast army of internal security forces that had a repugnant record for crushing all political dissent. The truth is from the outset of the Arab Spring, realpolitik dictated the Western powers’ determination to contain Iran and ultimately trumped any concerns about human rights and democracy. Sunni Saudi Arabia is Shia-dominated Iran’s arch-enemy. Saudi Arabia is Britain’s biggest trading partner and a reliable source of affordable oil. Yet, despite all this, liberals in the West continue to call for more uprisings in the Arab world, more bravery from the protesters, more upheavals, more violence and chaos — all in the name of a democracy in which most Arabs have no interest in partaking, and which is being shamelessly manipulated by outside powers. The ousting of staunchly secular Tunisian dictator Ben Ali in January 2011 marked the birth of the Arab Spring. The country’s subsequent descent into religious extremism, lawlessness and economic ruin is a microcosm of what has happened throughout the region in all the countries caught up in the ongoing turmoil. Elections last October brought to power Ennahda, the self-professed ‘moderate’ Islamist political party that is affiliated to the Muslim Brotherhood and which was banned under Ben Ali. However, tens of thousands of more radical Salafi Muslims have been causing constant mayhem on the streets of Tunis and throughout the country, attacking liberal artists and filmmakers, firebombing shops that sell alcohol, and assaulting women who refuse to wear the veil. 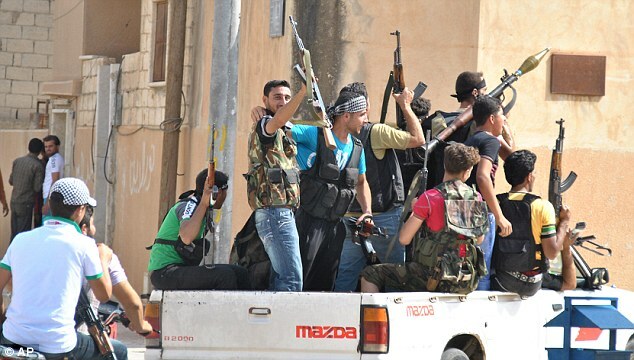 In recent weeks, rumours have been rife in the country that the Salafis may be about to launch an armed insurrection. Their goal: creating a hardline Islamist state. The National Transitional Council, which has ruled since last year’s Nato-led uprising in Libya, governs in name only. Since the fall of Tripoli in August 2011, Libya has been in turmoil. Officials openly admit billions of dollars have been smuggled out of the country by corrupt officials and businessmen, while the country’s infrastructure is disintegrating. Just this month, the British ambassador’s vehicle was attacked by rocket-propelled grenades, and the U.S. Consulate was bombed. The latter attack was claimed by a local Islamist group, which said it was angered by assassinations of suspected Al Qaeda members in Pakistan. Parliamentary elections slated for this month have been postponed until July 7, with officials citing ‘logistical and technical’ reasons for the delay. Not that most people in this most tribal of Arab countries, as elsewhere in the region, are likely to care. Since Mubarak was ousted, the Muslim Brotherhood has repeatedly shown it is willing — indeed eager — to reach compromises with the elite group of generals overseeing the messy transition to democracy. That co-operation will continue now that Muslim Brotherhood candidate Mohamed Morsi is president. The Muslim Brotherhood will leave policy decisions concerning the defence budget and foreign relations to the generals. Instead, it will concentrate on radicalising Egyptian society through parliament — with devastating consequences for the liberal elite and religious minorities. Exaggerated reports of the imminent overthrow of President Bashar al-Assad’s authoritarian regime have been a staple of the Western media for more than a year. However, the initially peaceful street demonstrations have been hijacked by armed gangs of radical Islamists, whose members are drawn from both inside and outside the country. For the time being, the majority of the Syrian people are therefore sticking with the devil they know. Still, with the Syrian regime’s crackdown on all dissent as ruthless as ever, the country could quickly descend into bloody civil war.